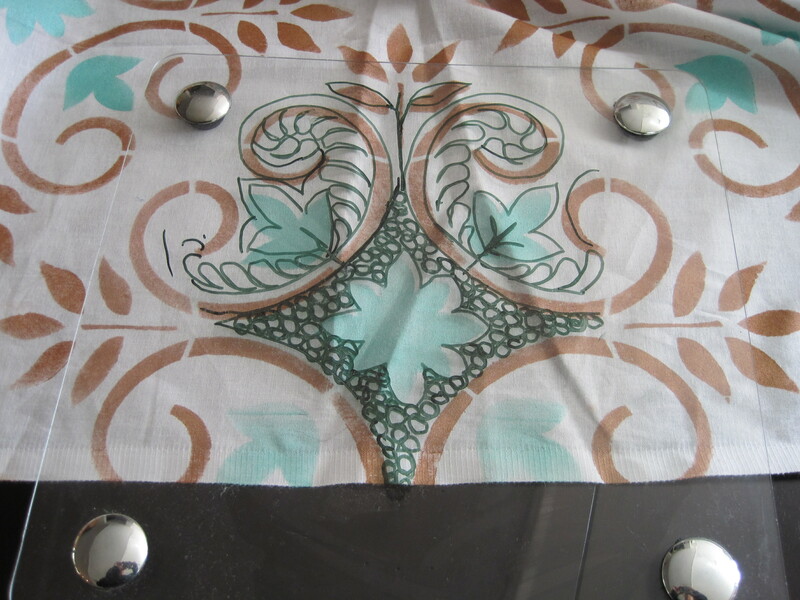 When I was asked to paint on muslin I was challenged. First of all, if I made a mistake, if the paint bled under the stencil or left a mark, I was finished. 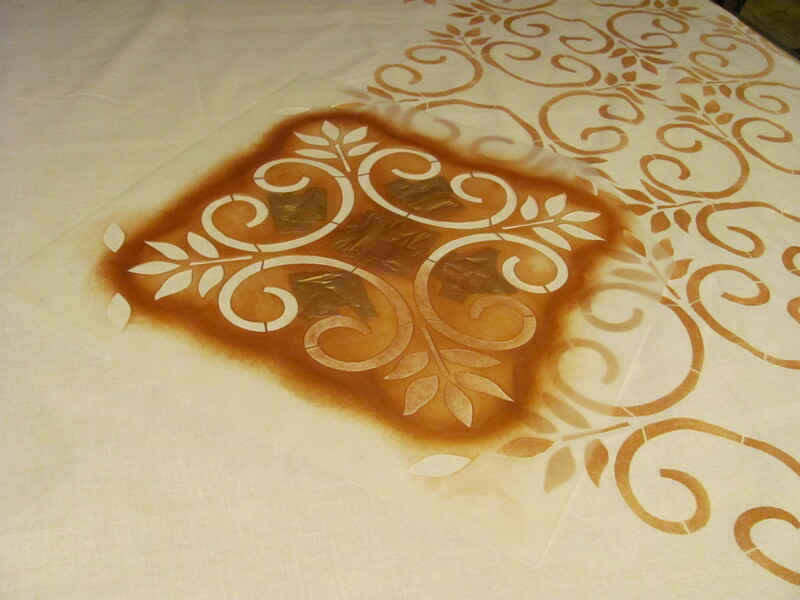 You can’t paint over or get fabric paint off fabric. I was also asked to try a new paint that I was introduced to at the Quilt show in Houston last fall. So the inexperience with this particular paint and the thin Muslin was enough to make me sweat. 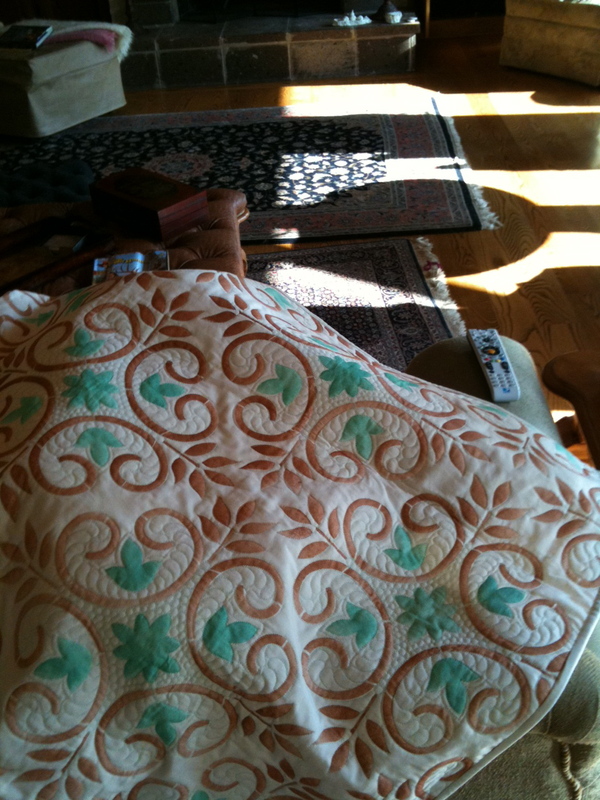 The muslin was given to me by Rockland industries to then be made into a quilt. hmmm, ok, I’d like to see this happen. 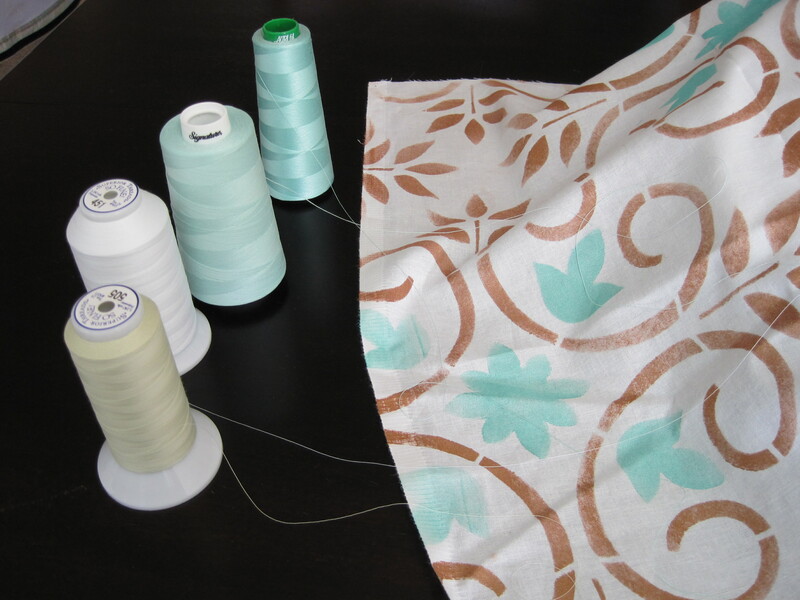 Well, Of course I used a Wallovers stencil to start and chose a couple of contrasting and happy colors, copper and aqua for my design. 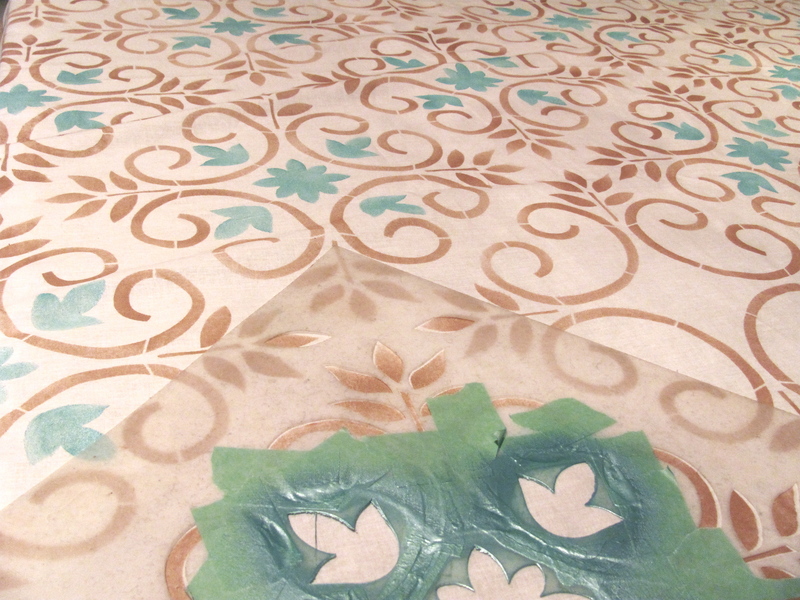 I chose Mediteranean Tile as it is simple, small with an easy repeat! 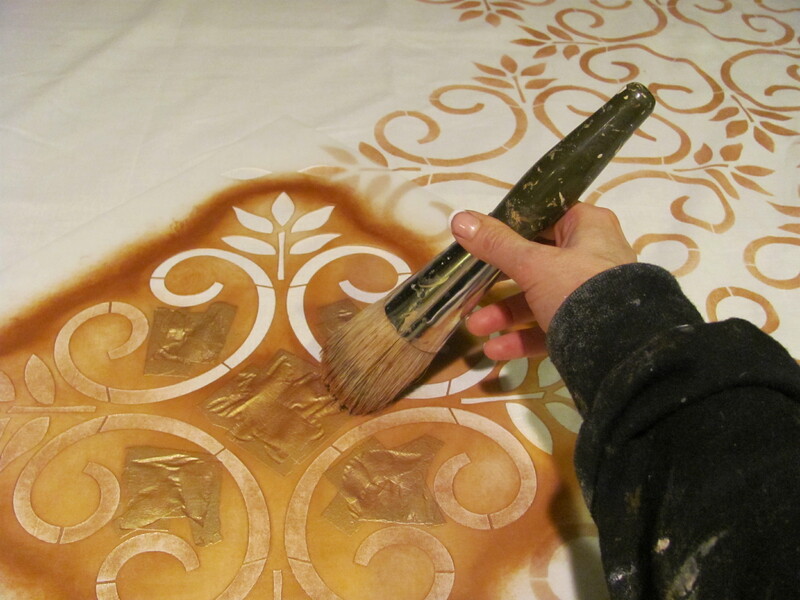 By blocking off some of the design with masking tape, I easily turned the stencil into a two color pattern. I still do not know if it was the fabric and the way it accepted the paint, or the really creamy, delicious fabric paint that made the job so simple. I used the old swirl stencil technique, (I am usually a pouncer),and the small, 8oz container of paint completed 2 sides of a king size quilt. It just kept going and going! 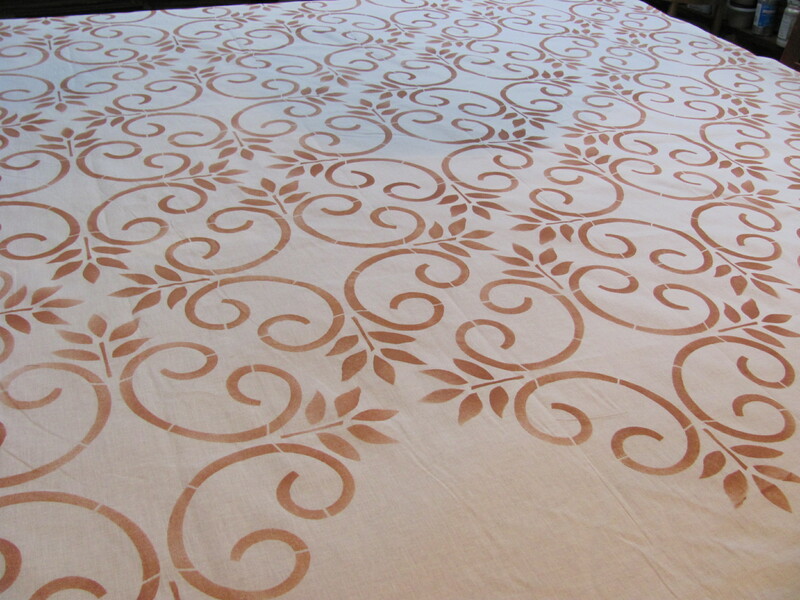 After stenciling the two king size sides of muslin, I shipped it back to Roclon and off it went to the quilter. Where the real magic happened!!! 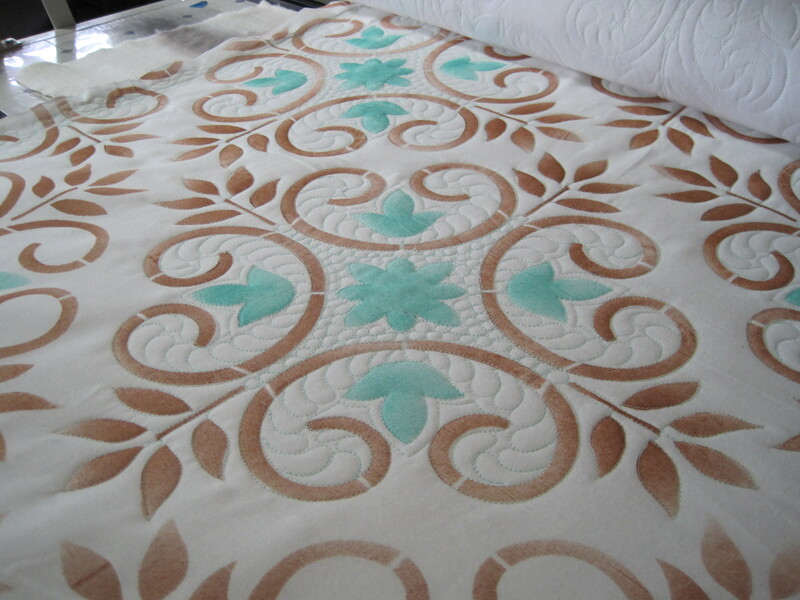 White Lotus Quilting in Bainbridge, Washington took this basic painted muslin and tuned it into a real work of art. 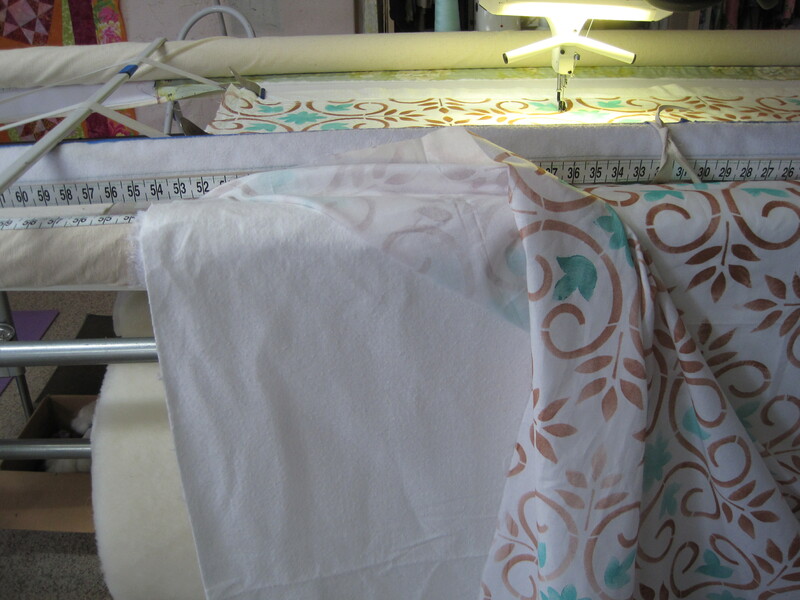 By adding her own creative touches to the design, Marybeth O’Halloran and her quilting machines at White Lotus created a one-of-a-kind, muslin quilt. Gorgeous! what a team effort! Thanks Rockland, Wallovers, Stewart Gills Paints and White Lotus. Can’t wait to see it displayed at the next quilt show!